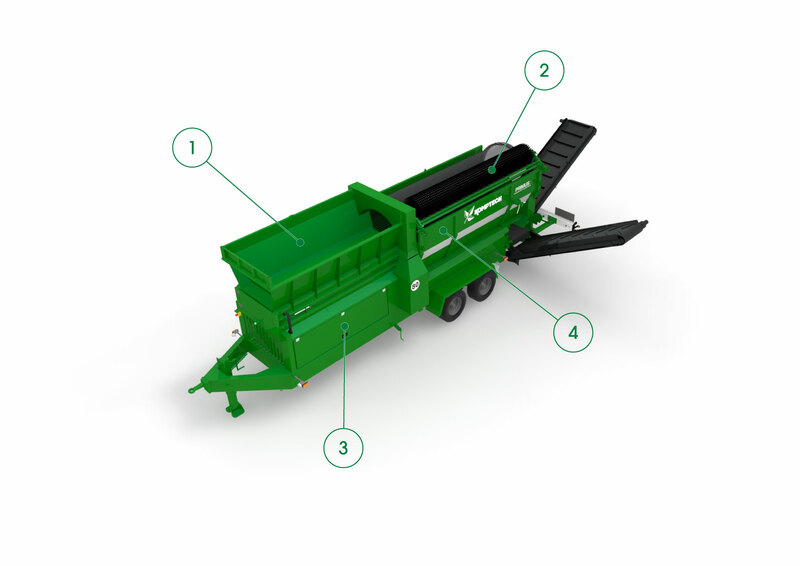 The Primus is heavy-duty, mobile drum screen machine built for the small to medium-sized compost operation that excels in reliable screening performance and operating efficiency. 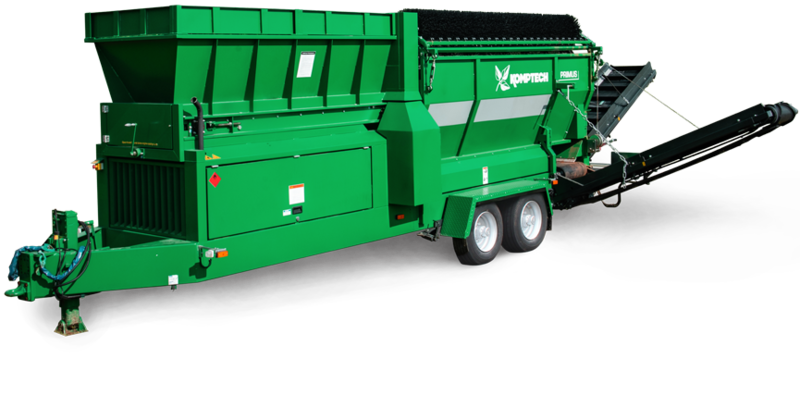 The Primus features a large, 4 yd3 steep side walled hopper to help prevent material bridging, and throughput capacity of up to 90 yd3/hr. The easily accessible and simple to change screen drum system features 172 ft2 of effective screening area. The Primus can also be equipped with a grizzly or wind sifter option depending on your needs. Steep side walls in the large 4 yd3 hopper prevent materials from bridging during infeed, allowing consistent flow, even with wet material. A freely revolving circular brush cleans the screen drum. The position opposite the screen side presents no risk of contamination by the screen material. With its efficient 51 hp Perkins diesel engine, the Primus can also be equipped with a grizzly or wind sifter option for light film plastic removal requirements. The Primus side door opens so operators have quick and easy access for cleaning and drum changing. Two trommel screen models are available to choose from and are built for a variety of application types and performance needs. We won't just sell you a screening machine. Instead, we focus on understanding your business' unique material processing challenges and then use our expertise to help guide you toward the right solutions to meet your needs. HAVE A QUESTION ABOUT THE PRIMUS? When it comes to screening soil, mulch and compost with a trommel screen, we're ready to help you accomplish more by delivering industry and product expertise combined with world-class parts and service support. How can we help you?